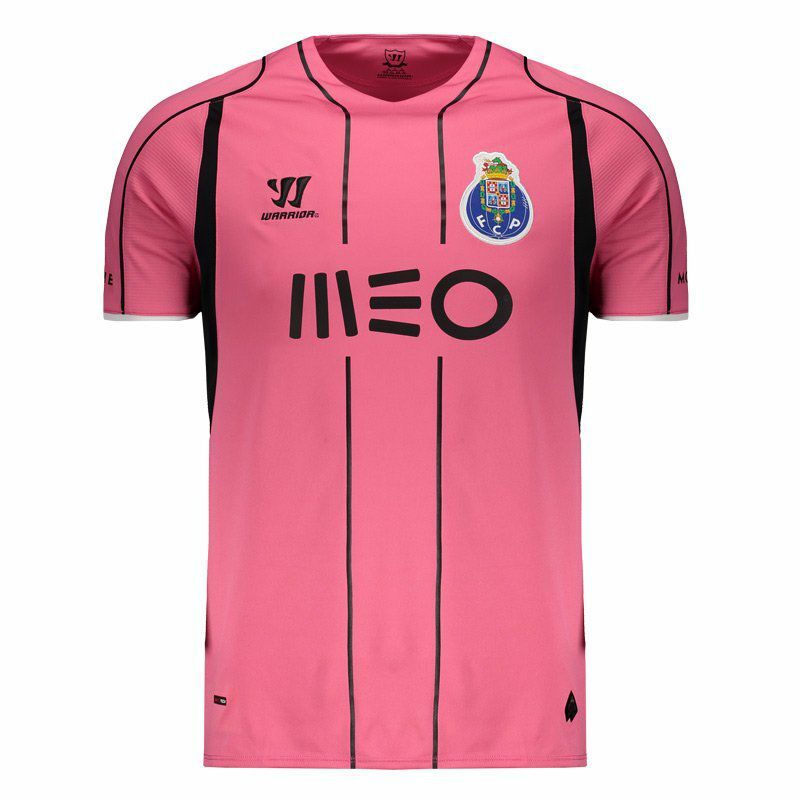 Perfect for those in love with the Dragons, the Porto Third shirt is the right choice for fans to wear their affection for the team. The piece is made of lightweight polyester, features War Tech technology and offers name and number customization. More info. 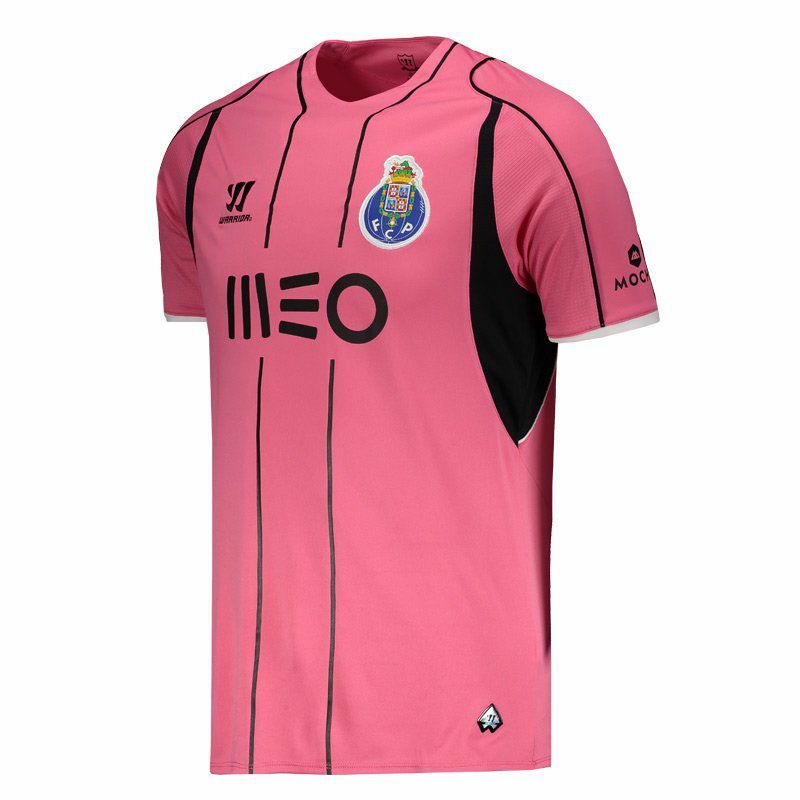 Made by Warrior, the Third Jersey of Porto is the right request for the fans to show their affection for the team. The piece is made of lightweight and breathable polyester and features War Tech technology, which is responsible for eliminating sweat and perspiration, thus keeping the body cool and airy during use. 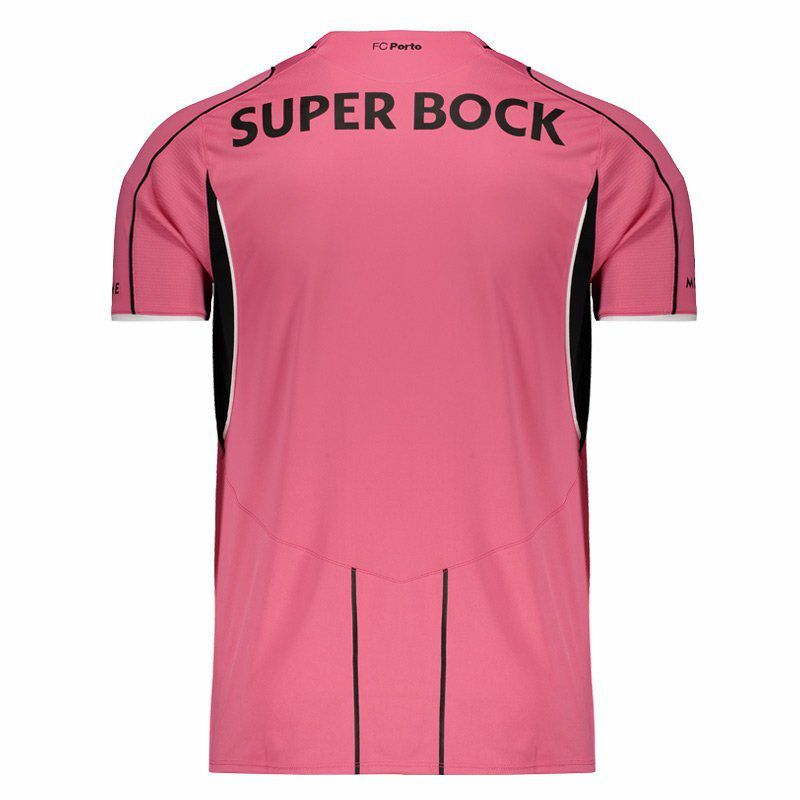 Its design is predominantly pink and features fine black vertical stripes. 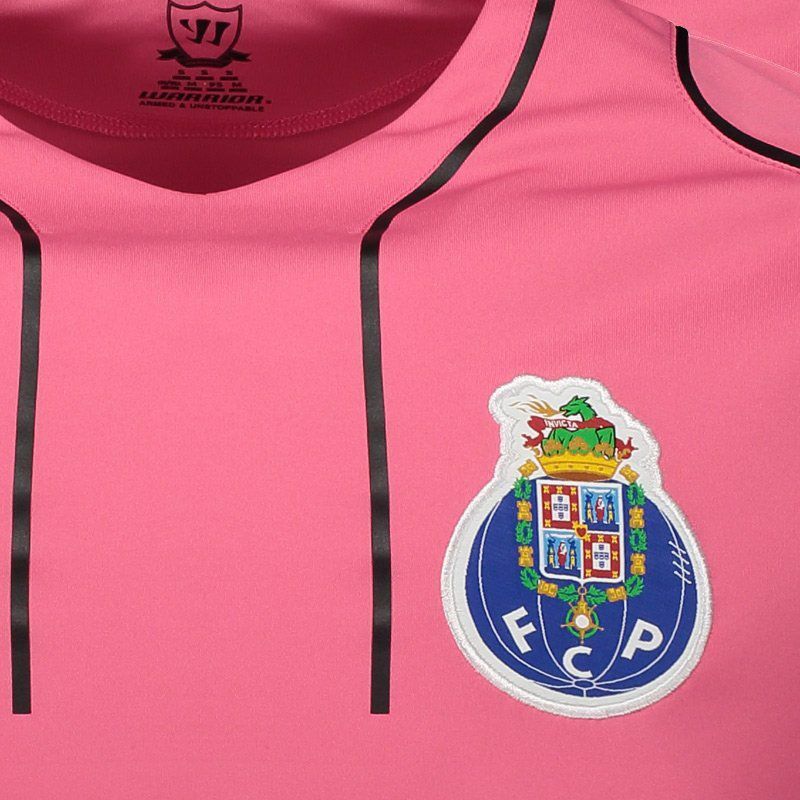 The team badge appears embroidered on the left side, as well as the logo of the supplier mark on the opposite side. Finally, the mantle bears a stamp of patronage throughout the composition.